I was just going through some old data on my old phone and came across some of my photos from last year. At this time last year I was in Hong Kong for my grandmother’s 90th birthday and apparently I took quite a few photos. 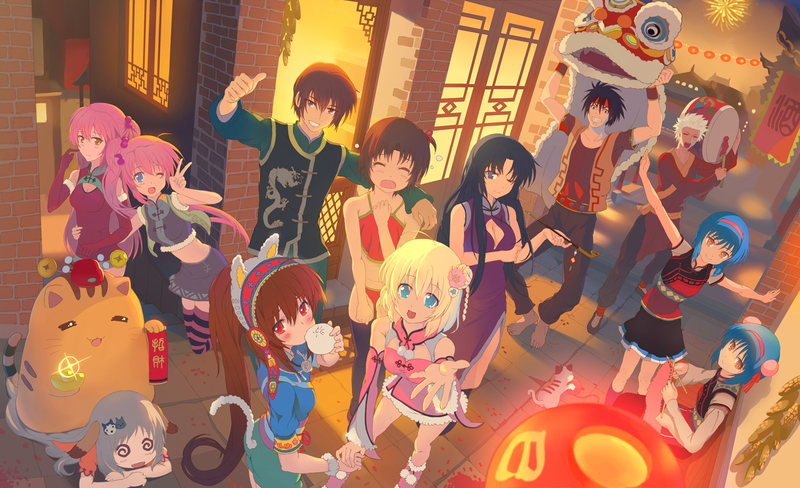 On my last weekend there, I recall going to an anime convention in HK. Looking back at my photos confirms it and I realize the convention is actually going on right now in HK this year as well. So what better time to upload some photos and to posts some thoughts on it from last year. The convention took place at the Hong Kong Convention & Exhibition Centre (香港會議展覽中心) in Wan Chai (灣仔) from July 27th to the 31st in 2012. I believe this year it will be at the same location and runs from July 26th to 30th of 2013. Not surprisingly, the ticket line ups weren’t all that quick even when it wasn’t that packed since I ended up going near the last few days. 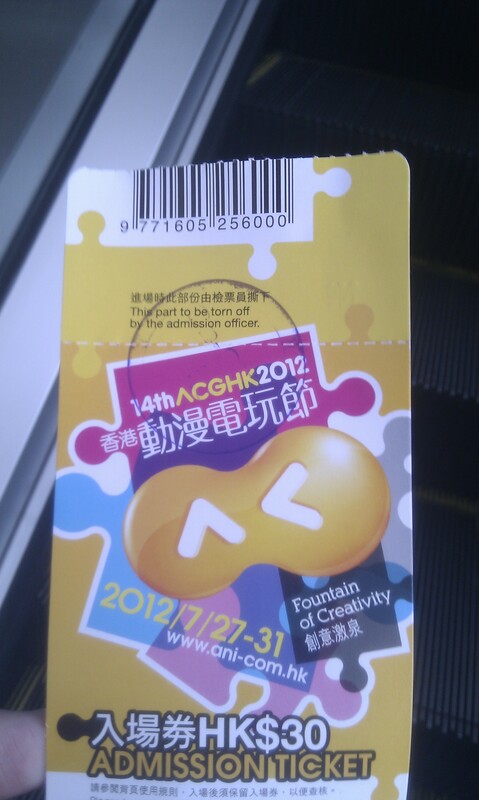 The exhibition is called ACGHK Fountain of Creativity (Animation-Comic-Game Hong Kong) (香港動漫電玩節) and runs each and every year. Research indicates that it has been running since 2004 under a bunch of different names. 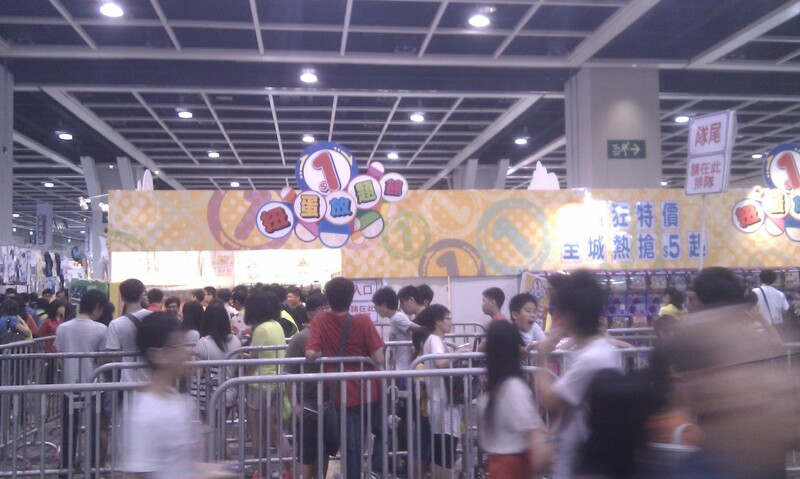 The tickets were only $30HKD which is only roughly $4USD, if only conventions here in Vancouver were this cheap. A 3-day pass to our local convention such as Anime Revolution can cost us $75CAD easily. 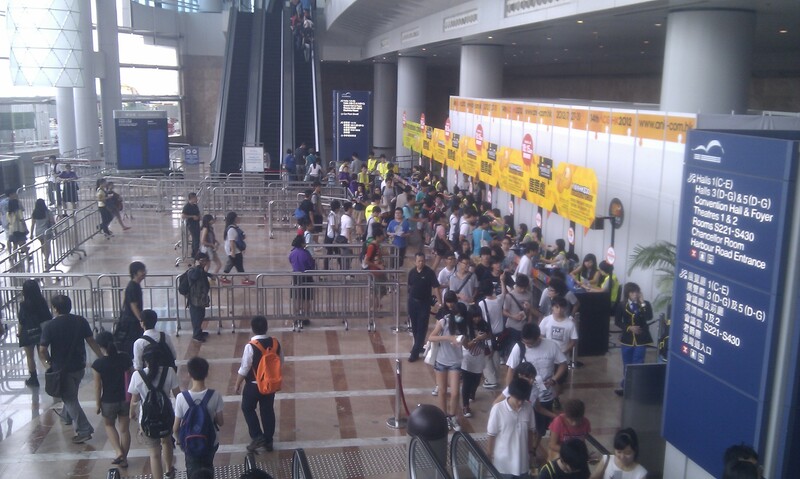 Oh well, it helps that Hong Kong has a much higher population density and thus more people going to the convention. I’m sure tickets here would also be cheaper around here if there was the same level of attendance. Regardless, prices are very reasonable and is definitely worth a look even if you aren’t that interested in anime, manga, etc. The inside is kind of what you expect in Hong Kong, some decorations and of course lots of people. This first image is a small little shop with tons of goodies inside. You end up picking up some items and then taking them to the cashier which you can kind of see on the very left, the exit is blocked in this photo but is just behind the cashier area. I manage to pick up a few things here, but the prices are pretty close to what you would expect to pay at a convention. 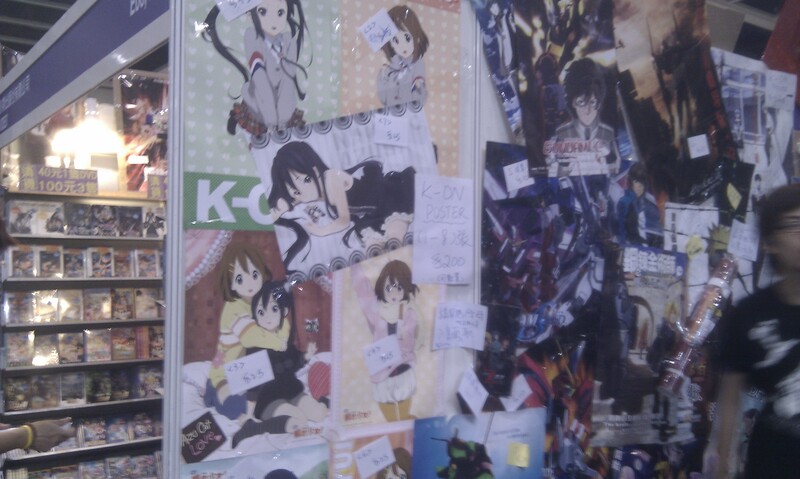 Sadly some of the stuff is bootleg charged at regular prices, so be wary if you intend to pick something up. After this main side, there is some smaller stores which looks similar to most other conventions in terms of small bordered off tables/shops. 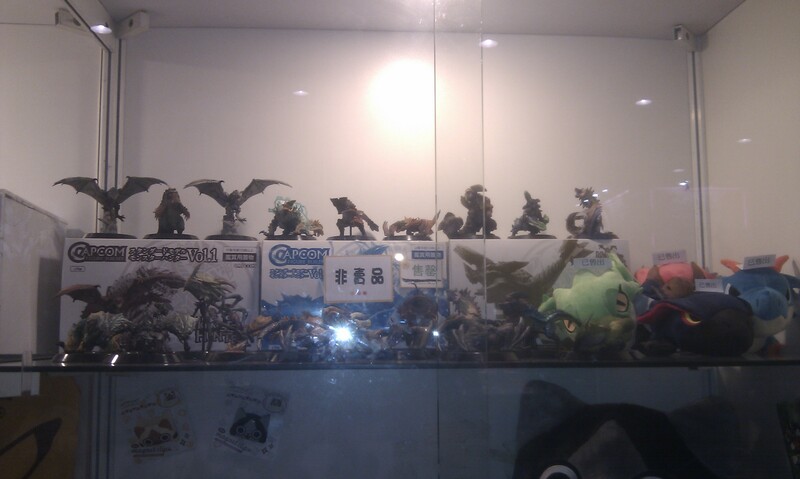 Again, the same applies, there are some bootleg items here, but there is some high quality stuff as well. The prices here are lower than the ones inside the bigger store if you find the same things, not to mention you can also haggle if you know some Mandarin or Cantonese. 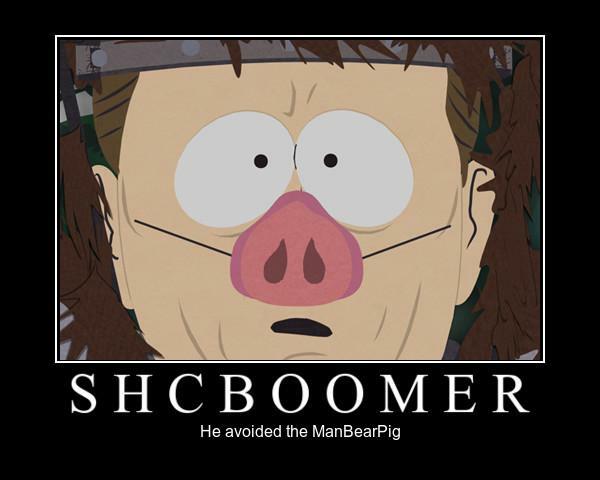 Otherwise, you may be a little boned in that department. 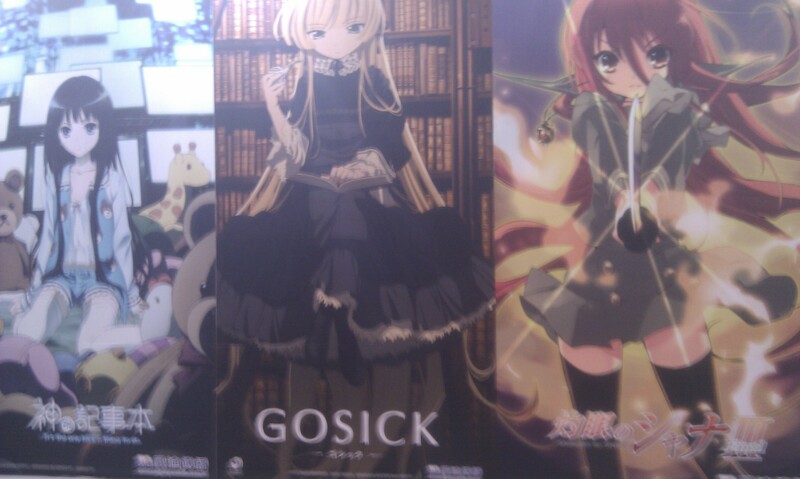 This area also has quite a few posters line up all over the place to try and attract customers. Some of them are in the original Japanese, some are in Chinese only. Either way, it does help get rid of that convention room feeling with more decorations compared to the boring gray on everything else in the room. Surprisingly, there was also a booth for Magic: The Gathering, which I do play for fun. So I took some time to talk to people here. 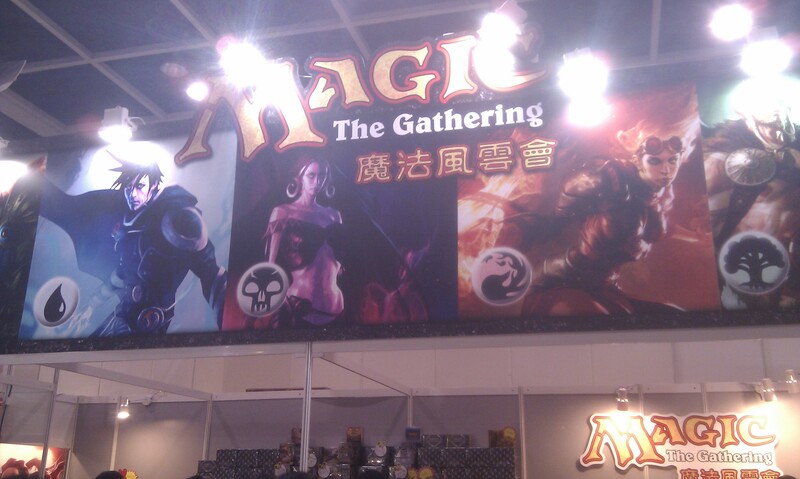 Looks like Magic isn’t that huge in Hong Kong, but there is a decent player base and it is growing with on the youth as well. I find that pretty impressive for a non-Japanese or non-Chinese TCG in this market. Sometimes the Hong Kong market can be pretty tough to crack, but things seem to be going pretty smoothly. Anyways, this booth had both Magic sales and a few tables for you to play. They provided some stock intro decks to play against one another and to teach you how to play. 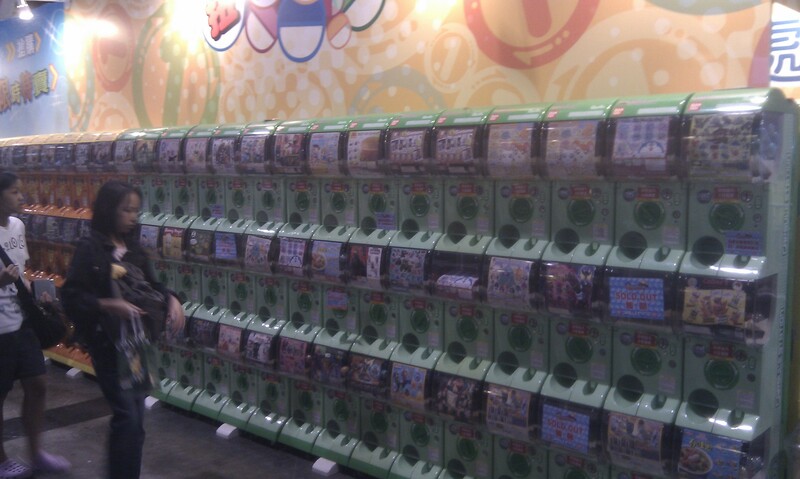 They also had both Chinese and English cards available for demo and playing. 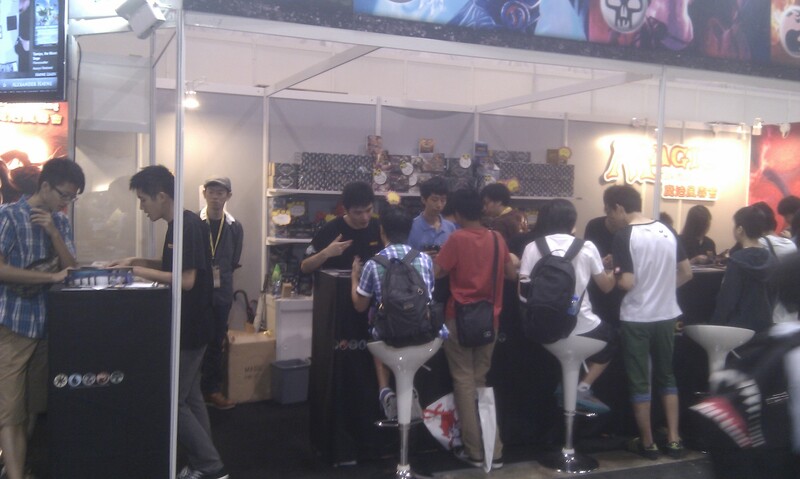 In addition they also had Japanese booster packs and products as well. What is a convention without gachapon? There was a whole line of these and even had a mini area just for it. I would have tried my luck going through some of the bigger and cooler things, but as you can see the line was a bit of a turn off for me. Maybe if I go again I’ll give it a go. The prices here are what you would expect starting at around $5HKD which is less than $1USD. The busiest booth of all had to be the Bandai booth which had a ton of Gundams and a whole feature area of people building them. I do build some occasionally, but these guys that were building them were pro and you could tell. This are had the most amount of people and everyone was taking photos. Sadly, I was using my old HTC Desire when I took all these photos, so they aren’t exactly the best photos, but they should provide a good look at what I saw there. When it came to atmosphere, the convention was pretty good in that sense. Although not a lot of people were cosplaying, the ones that were cosplaying were serious and looked very good. 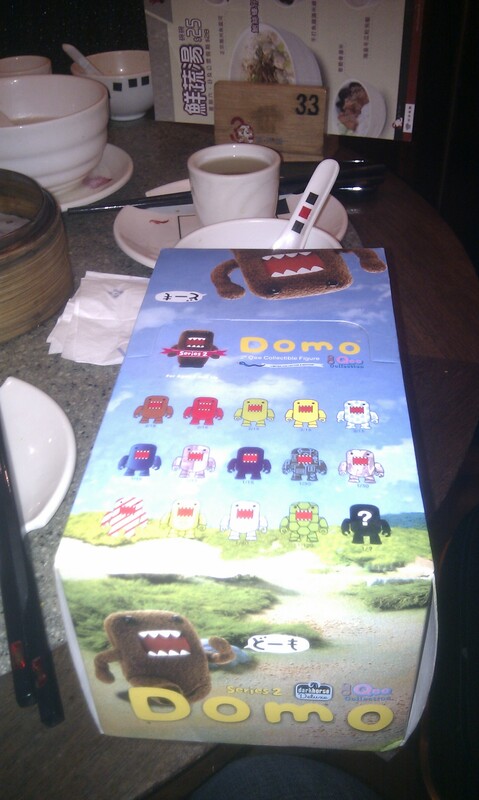 Everyone was actually surprisingly nice, even though the HK culture can be a bit interesting to say the least. My one regret was that I didn’t have too much time to spend here, so I just wandered around for a bit, bought a few things and had to say good bye. 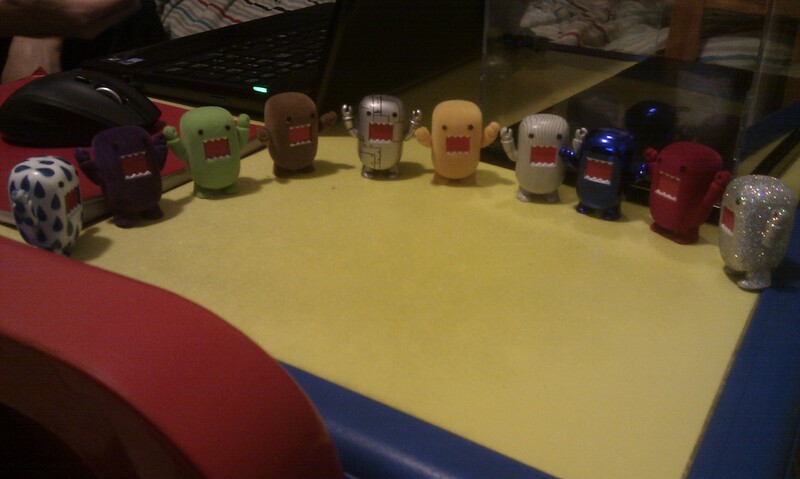 I only bought two whole things here, in one sense I kind of cheated and just bought a full set of Domo-kun figures. 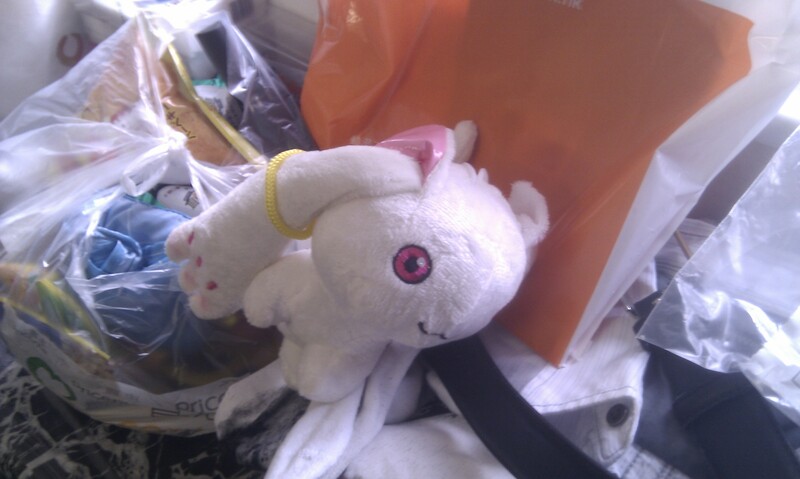 I also picked up a Kyubey plush for a friend of mine. There were a few other things that I wanted as well, but I couldn’t possibly carry so much stuff back with me. 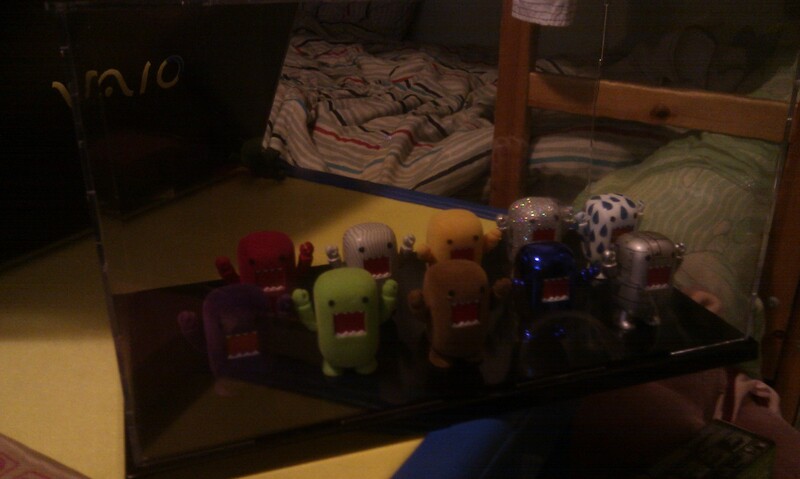 Later on when I got back to Canada, I ended up gifting the Domo-kun figures to a friend since they really liked them. I also bought a small plastic display case for them as well. (Well more like haggled a deal for them to throw it in, but that took more effort than I wanted to use.) 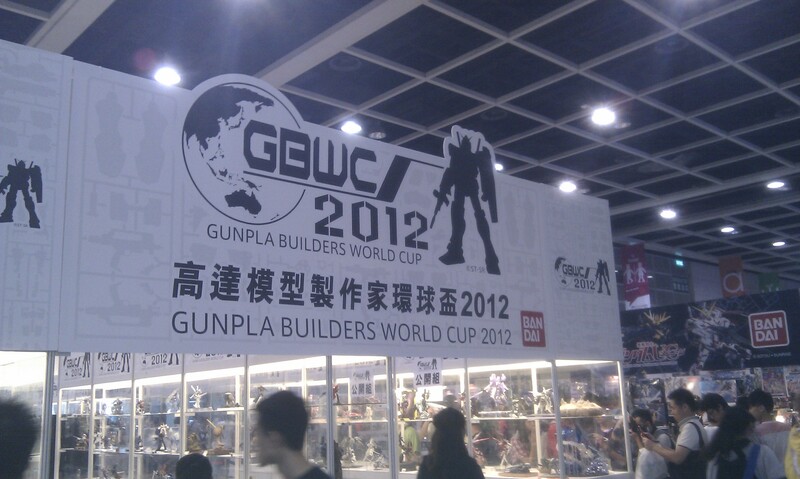 Regardless, overall the convention in HK was quite an experience. 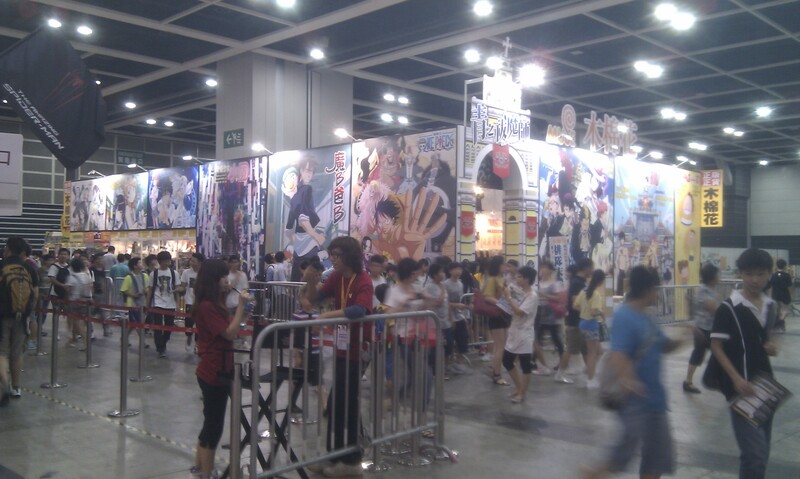 Looking back really makes me wish I was in HK right now, since the convention is going on at this time this year. I look forward to whichever convention I may go to next, at this rate it looks like Anime Revolution with some friends of mine. We’ll see what happens though. 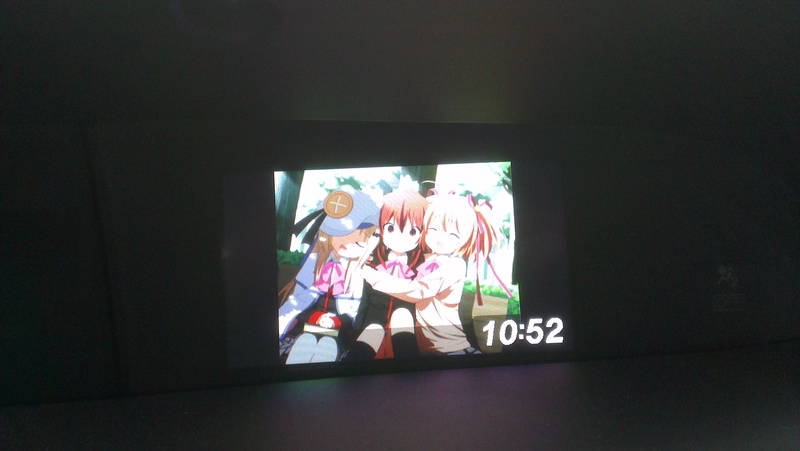 Little Busters Background in the Car, Yes Please! 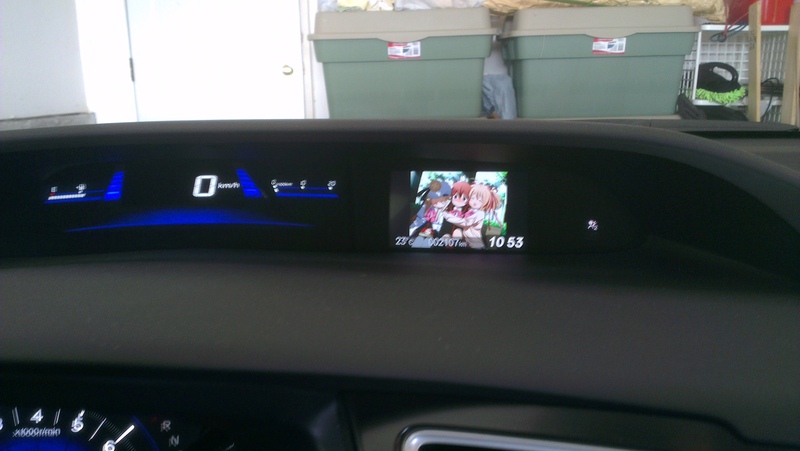 I finally set a wallpaper on my car’s dash, I think it looks pretty good so far. Just wanted to post a quick picture of it. I probably won’t be posting for some time, or at least the posts will be short because of Grisaia. DrKleiner also gave me this. 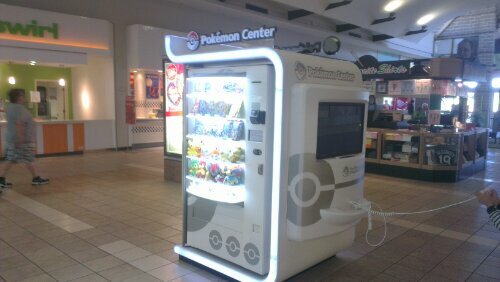 Just saw this in a mall near Seattle yesterday. 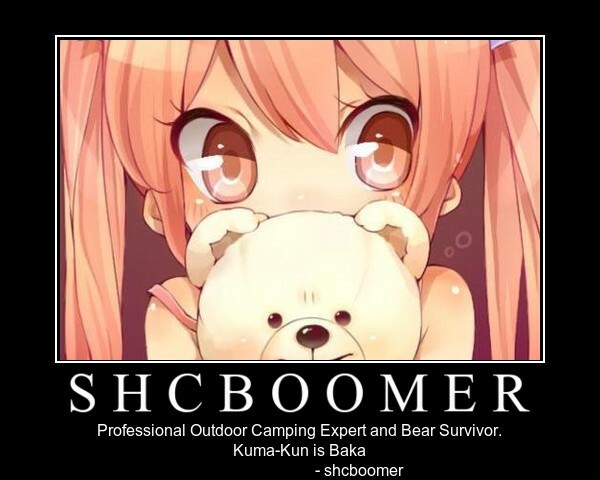 Yep, I’m going camping again. Time to get ready for it this late at night, heading out around this afternoon, so packing seems good. I probably won’t be posting again for a while because of it. Not to mention I’ll probably be too tired when I get back to post something meaningful. So before I leave, I may as well post a video or something. Anyways, I also completed my review this week, meaning I have done just about everything I needed to. So for now have some Junjou Spectra from Robotics;Notes. I’ve been pretty busy lately, and haven’t had too much time to write down my thoughts. 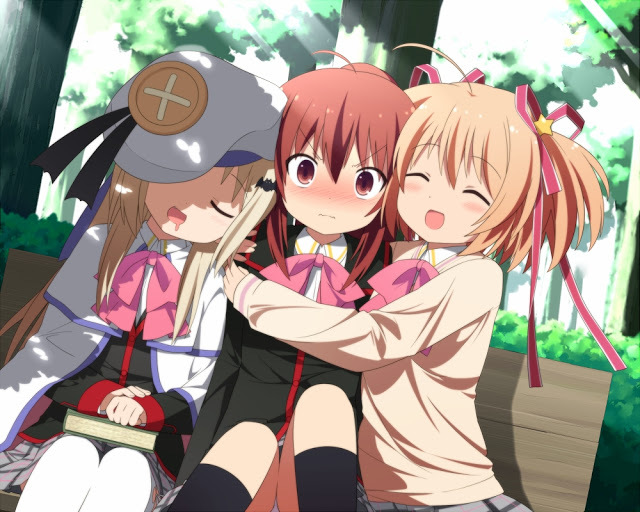 On a good note, the Kono Sora restoration patch is out. I helped edit parts of it, and I have already found some mistakes I overlooked in the scripts I was working on. I’ll hopefully have them fixed in time for the second patch, it really is easier to find errors while having the scripts loaded into the game. So for now I’ll just leave an image here again, a friend sent it to me and I thought it looked pretty awesome. Anyways, I will also be heading to another camping trip this weekend, starting on Thursday this time. This may be my last post before then.